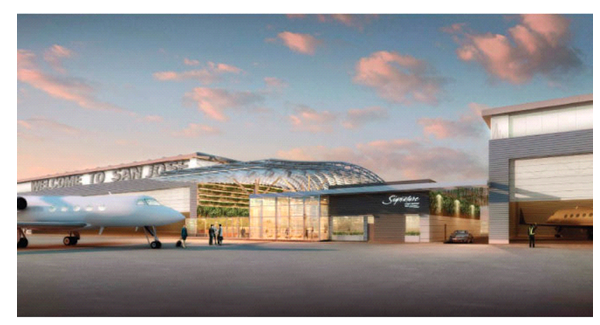 Google is once again making headlines, and this time it’s a private air terminal. Google is ready to start construction in February on a private air terminal and will complete it by late 2015. It is rumored that the facility will have 270, 000 square feet of hangar space and will be able to service air-crafts as large as a Boeing 737. When it is fully completed, 7 terminals will be available and 5 of them are probably going to be dedicated to Google. The terminal will be one of the largest private air facilities worldwide. Larry Page, Eric Schmidt and Sergey Brin (Google’s founders) are financing this project with their own money. This terminal will be located at Mineta San Jose International Airport and is expected to make $3.5 million for San Jose. The terminal will not be run by Google, but by a fixed-base operator called Signature Flight Support. Gensler is the firm that will build this terminal and it’s famous for building the Denver International Airport as well as the Seoul’s Incheon International Airport, and Los Angeles’s Farmers Field football stadium. Google has taken the top people with them to work on this terminal, it’s not a surprise because everyone expects Google to make the best of whatever they work on.